National Pensions Commission (PenCom) is about to go after employers that fail to remit deductions from their workers’ salaries into their Retirement Savings Accounts. 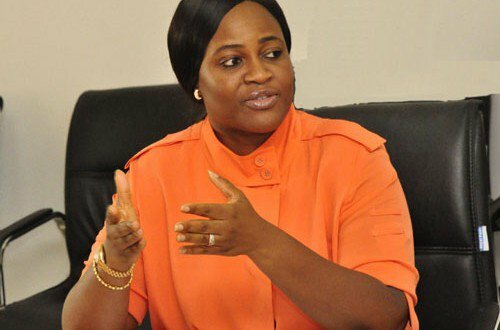 PenCom’s DG, Dr. Chinelo Anohu-Amazu, who briefed President Buhari yesterday, said they are working with the police to ensure that it happens. The police will work with a department in the commission devoted to enforcement and compliance, she added. Right now PenCom, has a whole department devoted to Pensions enforcement and compliance. PenCom has also engaged recovery agents because the compliance is on many levels; some people have made deductions from their workers’ salaries and have not remitted them into their RSAs. President Buhari promised to take concrete actions to end the problems faced by retirees in accessing their retirement benefits. He also directed PenCom to urgently look into complaints of retirees with a view to easing their access to their retirement benefits. The president also directed PenCom to work with the NEC to ensure that all the states fully comply with PenCom guidelines. The DG said bottlenecks are because the transfer of federal workers to the contributory pensions system, midway into their career. There are 6.637 million retirement savings account holders today which is only about 11 per cent of the working population. The pensions scheme has given RSA holders freedom to determine how their retirement benefits would be administered.